For those of you who may have recently installed security updates on Windows 10 workstations in the past few days, you may notice that you receive a peculiar error when trying SAP Business One directly on your PC’s or you can access it with RDP (Remote Desktop Protocol) to your Terminal Server that worked prior to installing the updates. The initial March 13, 2018, release updates the CredSSP authentication protocol and the Remote Desktop clients for all affected platforms. The following error may appear when opening an RDP session in RDM. Hopefully this will be fixed in future updates but for now, you can do below configuration in your PC to avoid above error. 1. 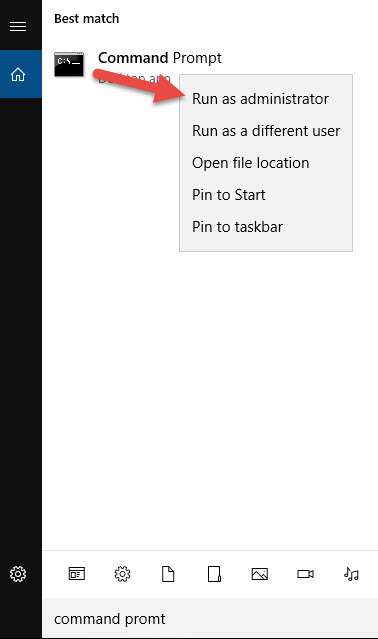 Open a Command Prompt, right click and choose Run As Administrator.